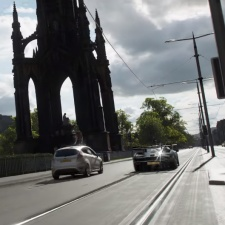 Microsoft has quietly removed two dances from Forza Horizon 4. Both the Carlton and Floss dance emotes have been tossed out of the open-world racing game. While 90 per cent of the game takes place with avatars behind the wheel, players can unlock victory dances that play at the end of events. While not providing an official explanation, it’s likely Microsoft is spooked by potential legal action. The Carlton dance, popularised by The Fresh Prince of Bel-Air actor Alfonso Ribeiro, is already the subject of a lawsuit aimed at Fortnite creator Epic Games. It’s less clear why the Floss, created by Instagram personality Russell Horning, was removed when other influencer and celebrity-created dances remain in the game. Forza - while popular - doesn’t quite have the cultural impact of something like Epic’s battle royale. But as the ownership of dance moves continues to prove contentious in Fortnite, it’s possible we’ll see more removals in future.